Next year the Charlotte Bobcats are re branding back to its original Charlotte Hornets roots and colors. With the team currently in a playoff spot and the name change on the horizon it is an exciting time for basketball in the queen city. The Bobcats organization posted a twitter picture like the one you see above announcing that the team will have “Buzz City Nights” commemorating the teams history with Hornet themed giveaways on 5 games this season. The Buzz City nights will feature 5 giveaways, 3 of which will be bobble heads (Dell Curry, Muggsy Bouges, Kelly Tripuka). The other 2 will be a Hornets “Buzz City” shirt and the last will be some surprise Hornets gift.The 5 dates for these giveaways are as follows December 21st vs Jazz (buzz city shirt/logo unveiling at halftime), January 25th vs Bulls (Muggsy Bouges bobblehead), February 8th vs Spurs (Dell Curry Bobblehead), March 22nd vs Blazers (Kelly Tripuka Bobblehead, April 16th vs Bulls (Special Hornet-themed gift). 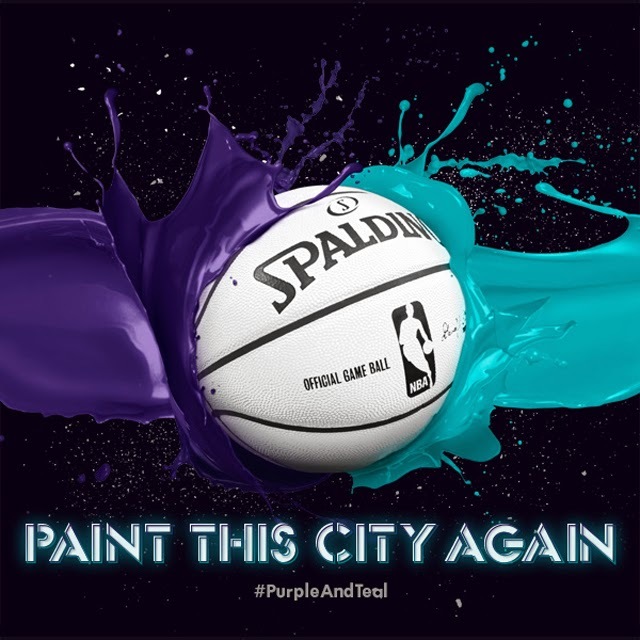 The team has already announced that it will use teal and purple as its primary colors for next season so its great to have one of the most iconic color schemes in NBA history back in the fold. Who is you favorite Charlotte Hornets player of all-time? Who are you looking forward to seeing put on that teal and purple next season. For me my favorite players are a toss up between Larry Johnson, Muggsy Bouges or Baron Davis. 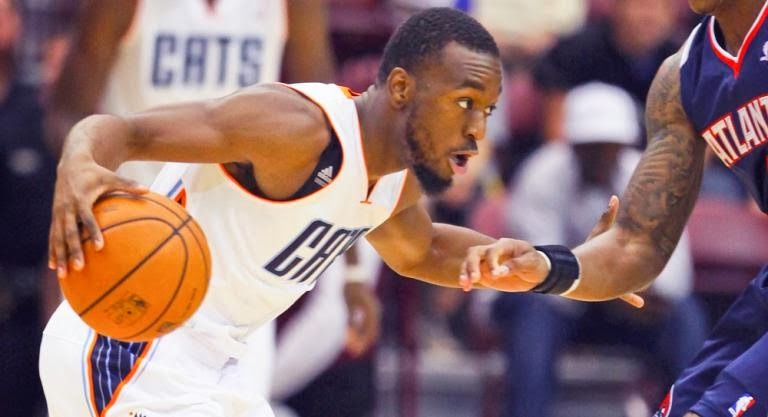 As far as players next season who will put on a Hornets jersey that’s easy Kemba Walker, dude is a straight stud.